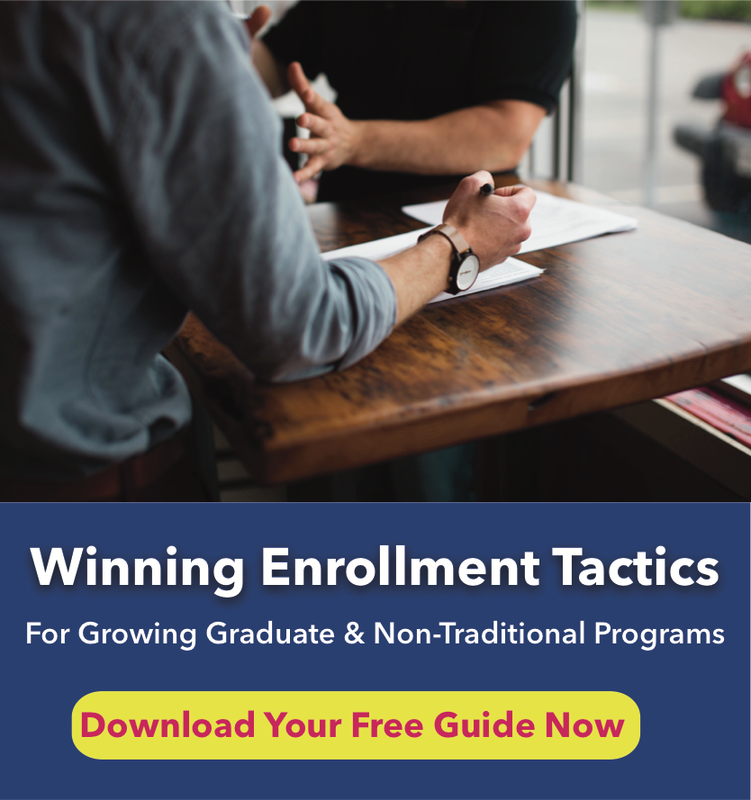 Your tried-and-true enrollment strategies are becoming increasingly less effective, along with your competitive advantage. The factors that used to set universities apart are far less potent than they used to be. The good news: the same harsh reality is also true for your competitors which allows you the opportunity to shift your strategies so your university will stand out in a crowded field. Why the great shift? Because digital technology has fundamentally changed the game in two critical areas: 1) the dynamics of the markets in which you operate and 2) the speed that you need to remain competitive. In other words, your prospects demand prompt and personalized engagement, when they want it and how they want it. Lead engagement software company, Conversica recently published the 2017 Sales Effectiveness Report, which shows that of the 866 companies surveyed (including education), a staggering 77% of companies failed to effectively follow up on leads. Those organizations left a lot of money on the table, which no doubt disappointed quite a few marketing departments and caused many CFO’s to scramble. 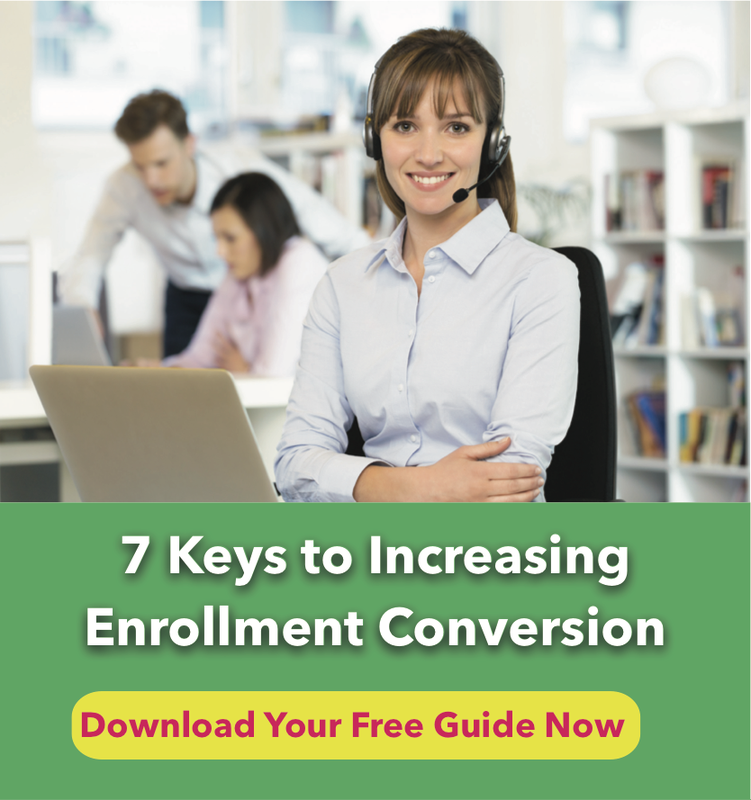 The report identified several key areas to improve conversion, which included improving the 5 following areas of your enrollment efforts. At Education Connex, we are fervent cheerleaders for all 5 of these strategies. We call them your secret weapons. 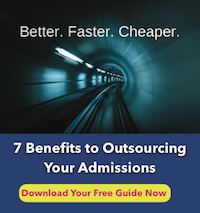 Some of the most significant and under-sold advantages of your university are the program differentiators. We know the student journey starts with the question, “do you have my program?” The reality is this: prospects care very little about your brand, but instead do you have their program of interest. Once it’s established you, in fact, can meet their needs, why not sale your program—it’s your product! Why is your program better? Sale the benefits. 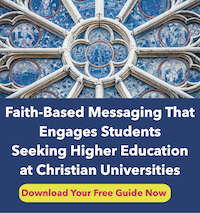 How quickly does your university follow up on an inquiry with a personalized response? Respond immediately, or if inbound, answer immediately 24–7 live. Your inbound leads are an expensive resource, and crucial to the success of your organization. What is an inbound lead? An inbound lead is a prospect who initiates contact with your business via website, social media or phone call. 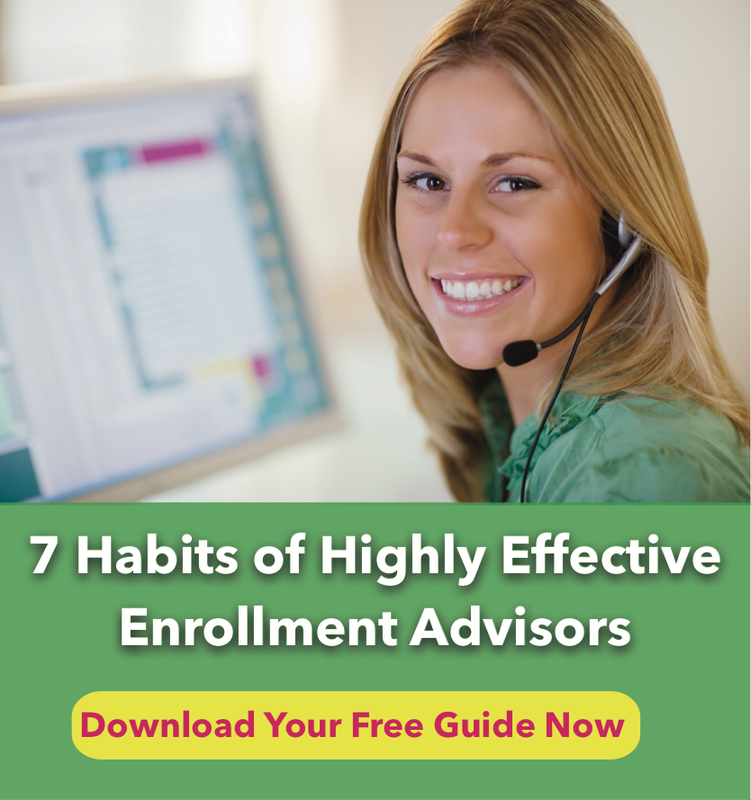 Answer or respond immediately to inbound and outbound calls and an immediate email follow-up. To what extent is your response personalized? Does your response provide an opportunity to keep the dialogue going? Does your response occur over several channels, including phone, email, SMS and social? A greeting with the recipient’s first name. Concrete mention of the prospect’s specific inquiry or program of interest, so that the lead feels the response is relevant and personalized. They feel heard. Specific contact information for the inquiry to continue the conversation, such as the name, email and telephone number of the enrollment representative responsible for the lead. If not, this is your opportunity to start. And the moment you do, you begin to redefine your competitive advantage for these changing times. People still prefer talking to people over machines. Yes, actual people, as in living, breathing, human beings. I know texting is fast. Social media is fun. Emails are convenient. In fact, automation and speed are great for business. And, personally, I’m more than happy to let my robot bring me my cup of coffee. However, there is nothing like talking to a real live person. Every interaction must be personal and proactive to produce genuine emotion for your school’s brand. Technology can help, but you need a person to share the difference. And that difference will be your difference. 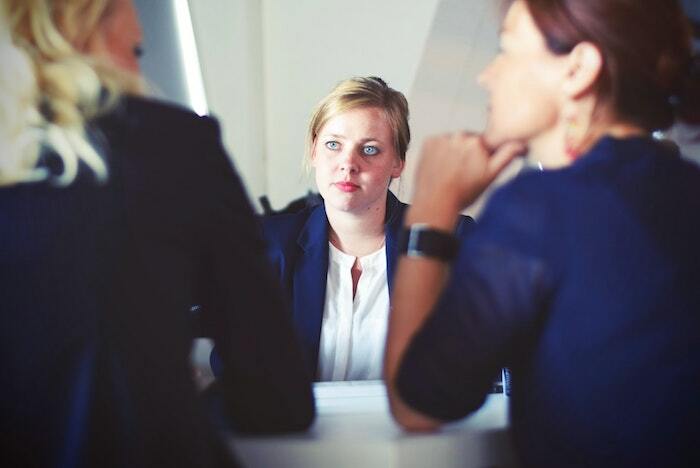 At Education Connex, we define persistence as the right level of pleasant, professional, personal, gentle and frequent attempts to reach a prospect through multiple channels. These channels include phone, email, SMS, print, retargeting, and social. Sadly, too often schools don’t even respond but merely add the prospects to a static email sequence. Fortunately, with persistence as your sword, that is also your advantage. Yes, all roads come back to persistence. It’s not enough to put the processes in place; you also need the patience, endurance, and passion to keep going. It takes 30-90 days for an undergraduate lead to convert and 120+ days for a graduate lead. According to Inside Sales, 80% of sales happen after the 5th attempt. If your team stops calling after 30 days, you’ll lose the battle. As always, we’re here to help you stay competitive.